Test Only If this is set to yes, only one email will be sent, to the store contact email address. Use this to verify that the email appears as you want when sent. Customers who last ordered between If you specify a date range in these fields, only customers who placed an order in that period will be emailed. Customers who purchased Dropdown menu populated by a list of products that have been purchased recently. 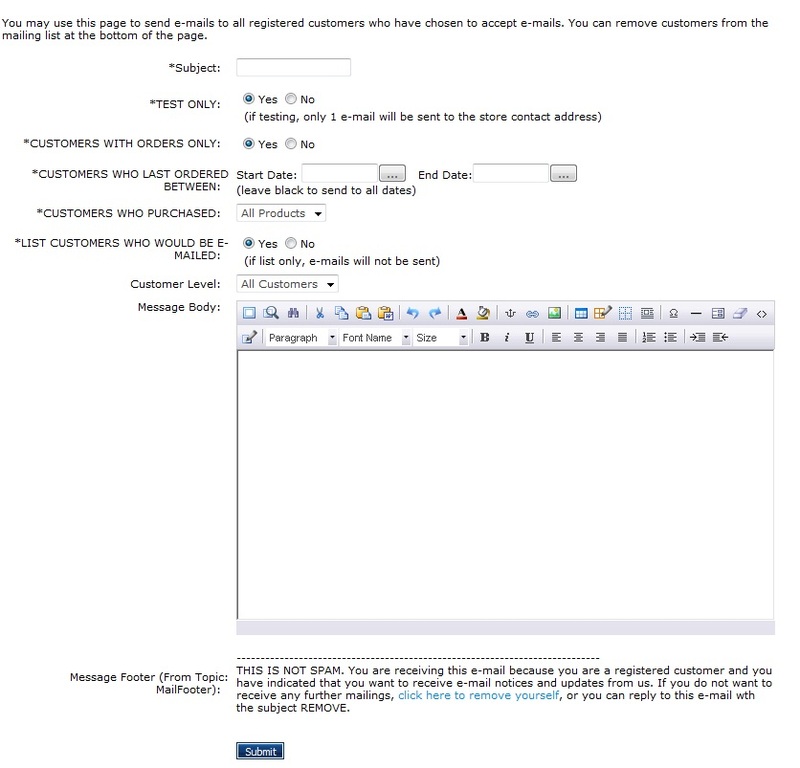 If an option is chosen here, only customers who purchased that product will be emailed. Customer level You can choose to send the email only to a certain customer level, or to all customers.